First Floor 2369 sq. ft.
Width 63 ft. 0 in. Depth 68 ft. 6 in. Take a look at this attractive Florida-style ranch house plan. 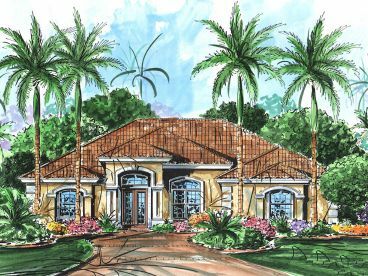 Its exterior has a stucco finish, cement tile roof and gentle arches over its windows and entryway. The attached two-car garage with a side entry has storage space to use for your lawn tools or work bench. 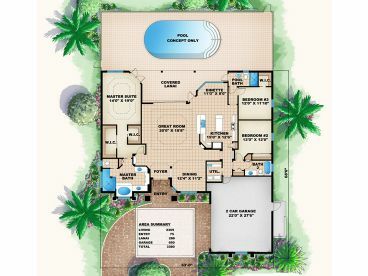 Designed with an open floor plan, this home offers a split-bedroom layout that affords a bit of privacy to the master suite. Coffered ceilings in the foyer, dining room, great room and master suite add touches of elegance throughout the home. A pool bath serves the covered lanai. 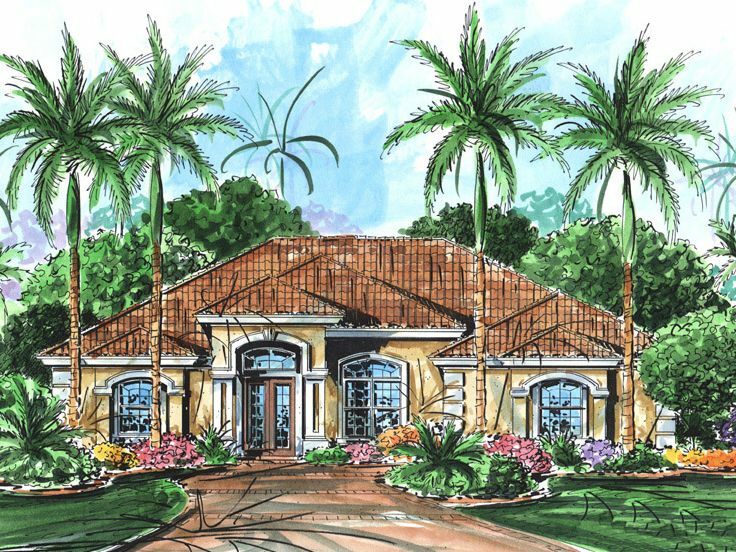 This Sunbelt house plan provides gracious and practical family living.